All-welded with 1" square tube 18 ga. framework and sheet metal panels. 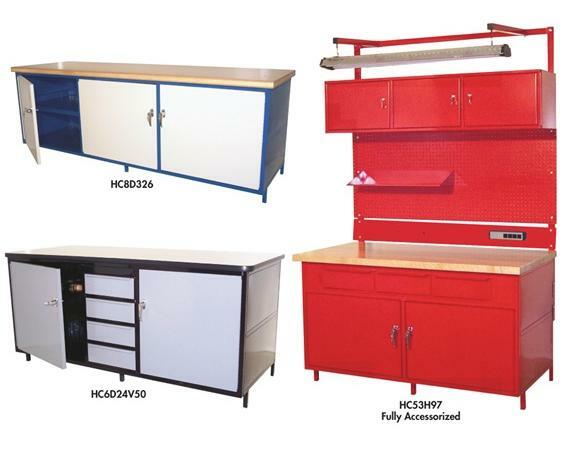 Versatile and durable Cabinet Workbenches are ideal for tool shops, production and warehouse area or general office environments. All doors have locking handles, keyed alike. Adjustable 16 ga. steel interior shelves. Drawers are full-extension, 100 lb. capacity and are arranged horizontally and vertically. 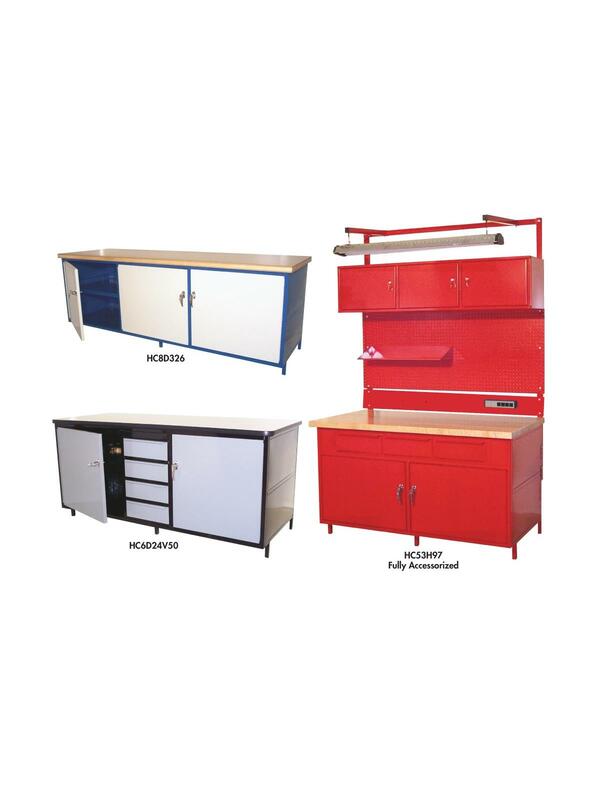 Cabinets are 30”D x 34”H and 60”, 72” or 96” long. Cabinets ship fully assembled. Add optional accessories and have a complete workstation. Optional accessories ship separately, assembly required. View the Related Items tab below for more details on optional accessories. Steel color options: Beige (BG), Black (BK), Blue (BL), Gray (GY), and Red (RD). To order these colors, add the SKU to your shopping cart and indicate the desired Steel color in the comments section. Plastic TM 1-1/4" top color options are Almond, Black, White, and Gray. Bench top also available in 1-3/4” Wood Comp, and 1-3/4” Maple. 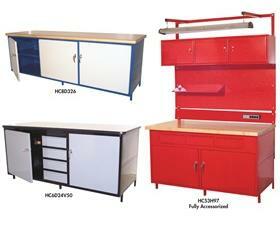 See Related Items tab Cabinet Style Workbenches - Optional Overhead Accessories. 30 x 34 x 60"30 34 60"